Image: The author IRL birding. A great blue heron I spotted after a weeks-long attempt to find one for a project I was working on. I didn’t always like birds. When I was a kid, I saw a bunch of dead hatchlings on the sidewalk and decided that I never wanted to see a bird again. I actively avoided pigeons on the street (and probably called them “rats with wings”). I thought birders were dorks, and my mind was completely closed off to anything avian. That led to a fear that I didn’t break until just two years ago. I was at the lowest, dullest level of an expanding brain meme, level one. My mind first opened to level two when someone told me that the New York City Audubon society had a project where they put painted lawn flamingos on some of the city’s islands to try and attract wading birds. 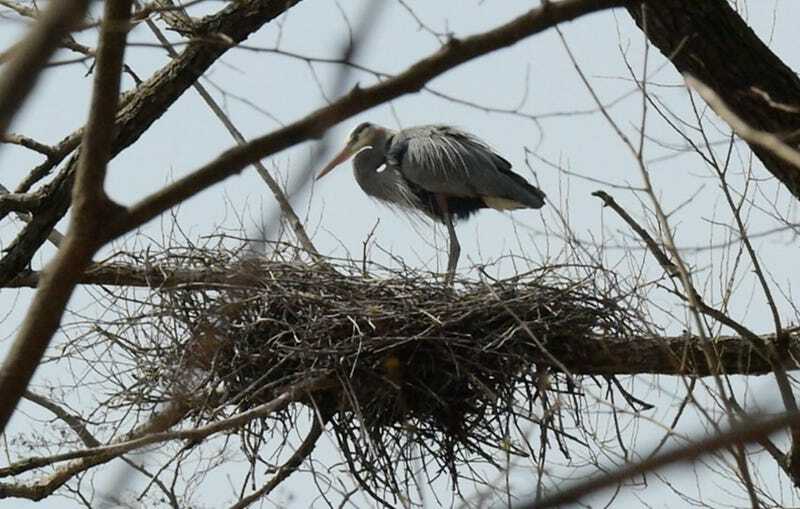 I wrote about it—a story that became a weeks-long, but ultimately successful, attempt to photograph a great blue heron on Staten Island. The build-up and capture felt like encountering some rare Pokémon. I then understood, at least, why someone might like doing this. But it wasn’t until my partner moved to New York last year that I started birding with any seriousness. We thought it would be a fun couple’s activity. 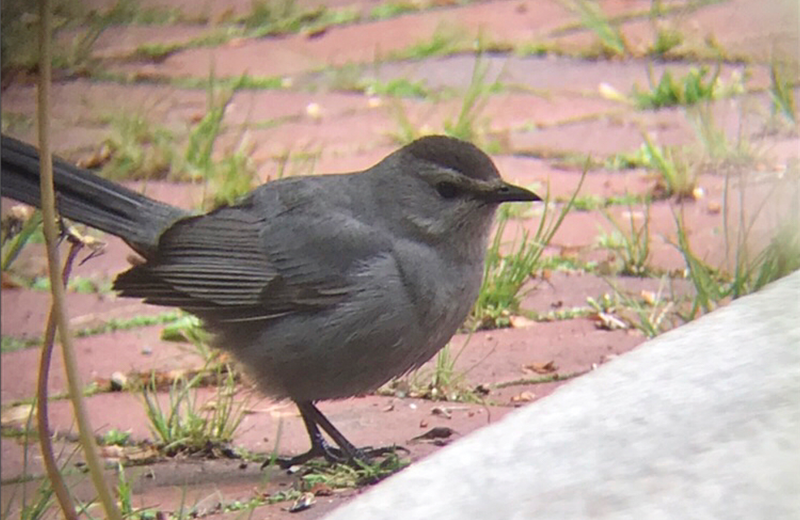 We got an affordable pair of decent binoculars and an intro-to-birding guide; took a few guided birding tours; and downloaded two birding apps, the Audubon Society’s and Merlin Bird ID. Even then, I was only at brain meme level two. I was texting pictures of some of the most common birds, like starlings and grackles, to friends, wondering what these amazing, iridescent creatures were. 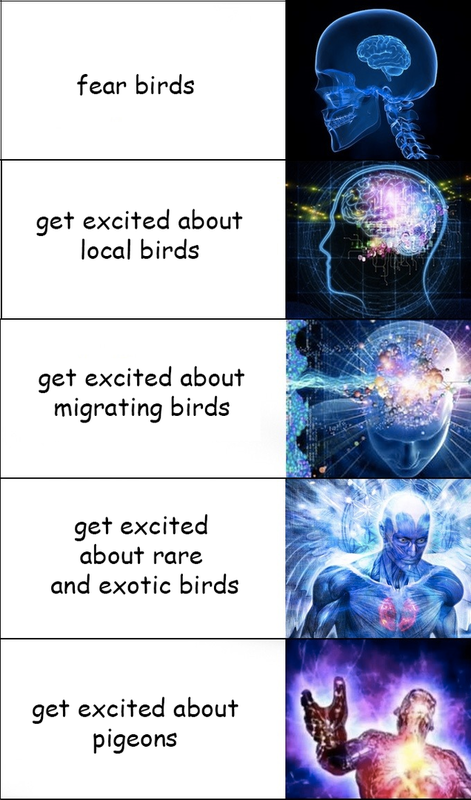 Then came spring migration season, my ascent to expanding brain-level three. New York City is, believe it or not, a birding paradise. 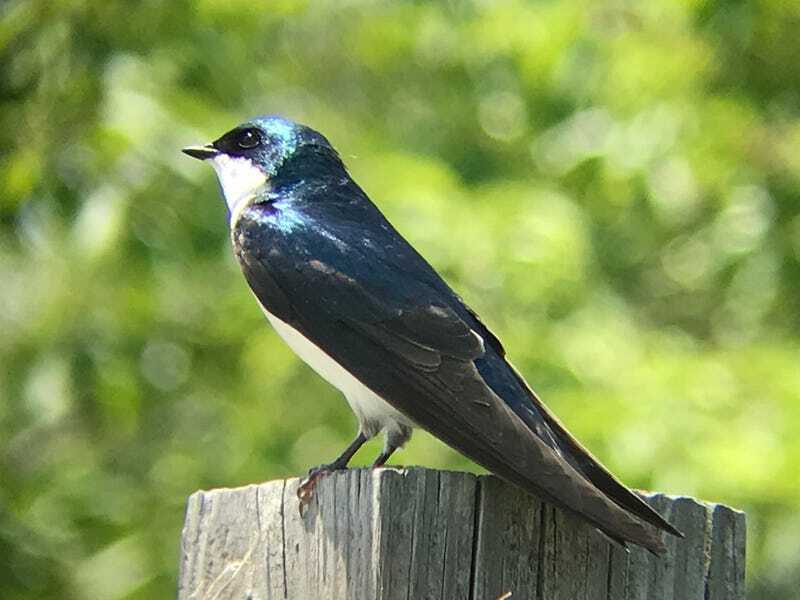 It sits along the Atlantic flyway, an avian superhighway with fresh water, habitats, food, and a few mountainous obstacles that many bird species migrate over. The city’s parks swarm with a rainbow of species during the spring, ones that you may have only read about like brightly-coloured warblers, wobbly woodcocks, and furtive cuckoos. The easily-accessible Jamaica Bay Wildlife Refuge might host dozens of species in a day, and I once saw 13 species of warbler in a single tree in Central Park. Even an endangered species, the Kirtland’s warbler, recently stopped by. Every day during migration, I dreamed about heading to the park early in the morning to try to spot some new species. Soon, every iota of time spent offline and outside took on a new purpose. Will a trip to a new city or biome reveal a new set of birds? What rarities have other birders checked in on eBird, the website where birders log their sightings? I once again ascended, now to level four. I was looking for weird new birds everywhere I went, and included dedicated birding time on recent trips to Puerto Rico and Mexico. But you can’t always go travelling—and migration ends. The birds settle into their nests and the faucet of stranger species shuts off. Any remaining birds are harder to spot through now-dense green foliage. I could have given up, but instead, my birding brain kept expanding as I made a key revelation: All birds are interesting. Even the “boring” ones like robins, sparrows, and yes, pigeons. I had reached galaxy brain. Warblers might be a thrill, but have you ever seen a pigeon? They’re fascinating. Pigeons (actually, “rock doves”) are mostly monogamous, with gorgeous iridescent feathers and an incredible navigation instinct. Their takeover of our hostile human environments should be respected as an incredible animal feat. Robins might be everywhere, but that means you can often watch them build their nests and feed their babies from a sidewalk. Blue jays mimic hawks. Cardinals speak in dialects that they scream from the treetops. And the cigar-shaped bats I thought I saw in the summer were actually agile chimney swifts. A day trip to the beach might put you in gazing distance of several species of aggressive gulls, dive-bombing terns, adorable plovers, and regal ospreys, while a quick train ride upstate will reveal bald eagles. 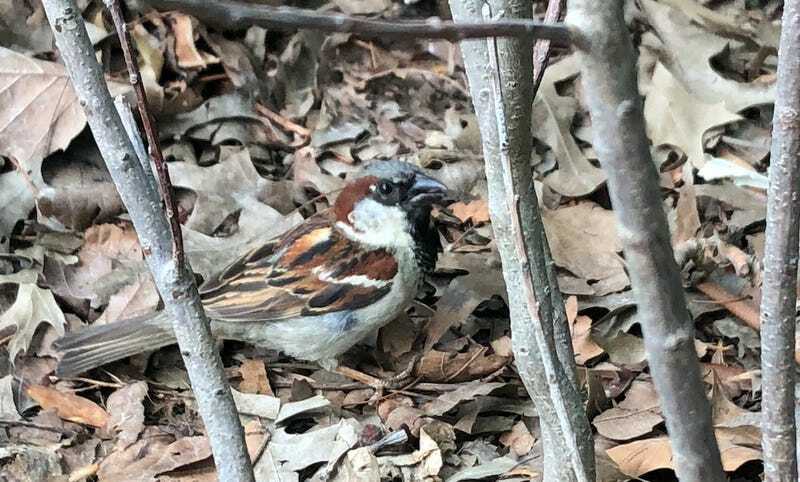 While it’s mostly an offline activity, birding isn’t completely free of technology—I share my photos on social media, seeing the finer markings on a species require binoculars, and I find the apps indispensable. But even my online life has changed for the better. As a recent New York Times piece—much-shared in the birding world—points out, birding is now full of urban folks like me, trying to break out of its stereotype of being an uncool hobby for retirees. You might meet plenty of other young, interesting people who have found that even in cities, there’s a world of wildlife waiting to be seen. And I now have something to talk about with anyone, regardless of their origins or ideologies—everyone has a bird story. I’ve joined the community of earnest bird nerds. But despite my ascent, I’m only a novice birder. I’ve probably only seen a hundred or so species, not counting those I’ve seen at the zoo. Maybe I’ll take a trip just to see the legendary sandhill crane migration in Nebraska. Maybe I’ll finally start and run Gizmodo’s birding vertical (birdical). Maybe I’ll become a full-on advocate for realistic bird-friendly government regulations. But there’s nothing that’s been able to get me off the internet and simultaneously engage my desire to learn new things like the birds.